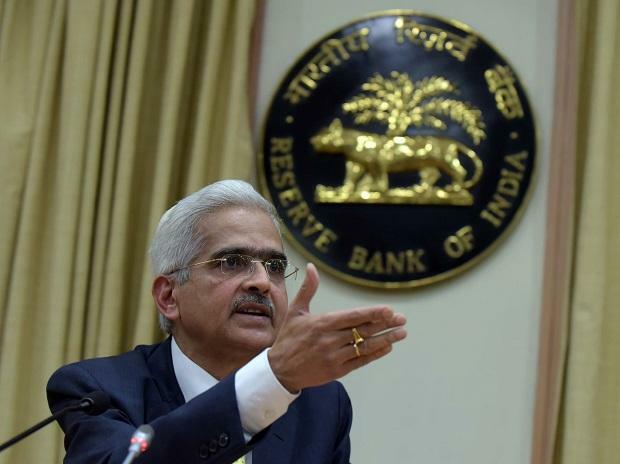 Reserve Bank of India (RBI) Governor Shaktikanta Das shrugged off liquidity concerns pertaining to non-banking financial companies (NBFCs) and ruled out an asset quality review in the immediate future, saying such a move might not be well-received by the market. Das told a group of 60-70 foreign portfolio investors (FPIs) during a meeting in Hong Kong on Tuesday that the RBI was prepared to step in to ensure that the liquidity needs of NBFCs were duly met, said sources in the know. He said the quantum of non-performing assets (NPAs) had dipped significantly in the past one year and that the worst seemed to be over for the banking sector. FPIs in the meeting included asset managers such as Temple­ton, Fidelity and Blackrock, as well as a few hedge funds and distressed asset investors. The governor justified the recent policy rate cut, citing low inflation, among other things, and said the central bank would not shy away from more cuts provided data supported such action. Annual retail inflation in January rose 2.05 per cent, its slowest pace since June 2017, showed the data put out by the government on Tuesday. Similarly, wholesale price inflation cooled to 2.76 per cent in January from 3.8 per cent in the previous month. Das also apprised the investors about the country’s key economic parameters such as gross domestic product (GDP) growth, inflation, fiscal deficit, and current account deficit, while expressing confidence that India had the potential to get back on the 8 per cent growth trajectory. The governor is expected to meet the heads of banks and NBFCs again in the coming weeks, said sources. Das also discussed the current regulations and requirements for investment in fixed income for FPIs. Last week, the RBI relaxed the provision according to which FPIs could not have an exposure of more than 20 per cent of its corporate bond portfolio to a single corporate. In April 2018, the government had restricted an FPI’s investment in a single corporate bond to 50 per cent of the bond issue. In addition, the exposure to any single corporate group was mandated to not exceed 20 per cent of an FPI’s overall corporate bond portfolio. The former restriction still holds. “The RBI is concerned that hot money could destabilise the currency and wants long-term investors to look at the voluntary retention route (VRR) to bypass existing restrictions,” said a person familiar with the matter. The VRR is a new channel that is currently in the works to facilitate FPI investment in the Indian debt market and comes with fewer restrictions. FPIs sold Rs 46,500 crore worth of debt papers in 2018. The rupee depreciated 8.4 per cent to 69.77 against the dollar in 2018, and has shed 1.95 per cent this year. With the emerging markets now seen as a risky proposition, India has become much less attractive for FPIs, and any volatility in global crude oil prices could weigh on the Indian currency. NBFCs have been in the spotlight in the last few months after IL&FS defaulted on some of its debt obligations in September last year. The default led to panic among mutual funds and banks, resulting in a decline in the availability of debt capital and rise of cost of debt capital for NBFCs and housing finance companies (HFCs). “The marginal funding cost for NBFCs/HFCs from various sources have gone up 25-100 basis points. The increase in the cost of borrowing is clearly visible in the 50 bps increase in credit spread for NBFC bonds over government securities since August 2018,” observed a recent research note by Ambit. After five years of suboptimal profitability driven by asset quality upheavals, growth slowdown and high competitive intensity analysts expect the Indian banking sector to redeem itself in FY20. According to brokerage JM Financial, the incremental stress formation, especially from the corporate sector, is subsiding and will reflect in lower slippages.